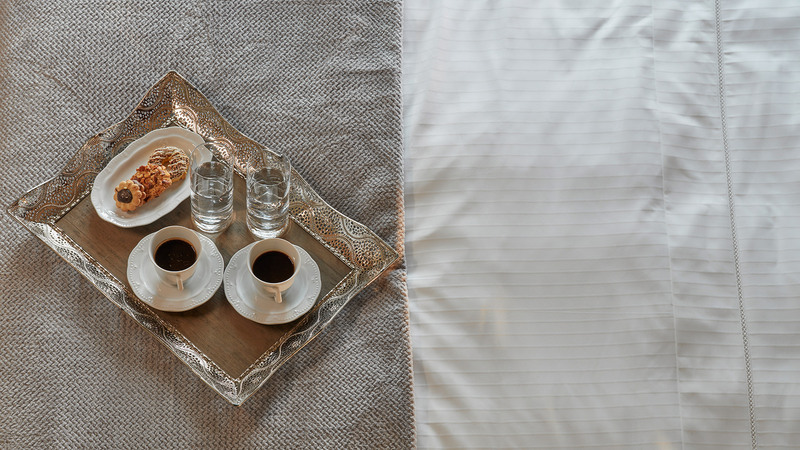 Domus Renier is a Historic Boutique hotel in Chania, Crete. It is a very special building as it belonged to the Reniers, an old Venetian – Cretan family with an history that goes back 5 centuries. It has a lot of stories to narrate about the historic period of Cretan Renaissance. 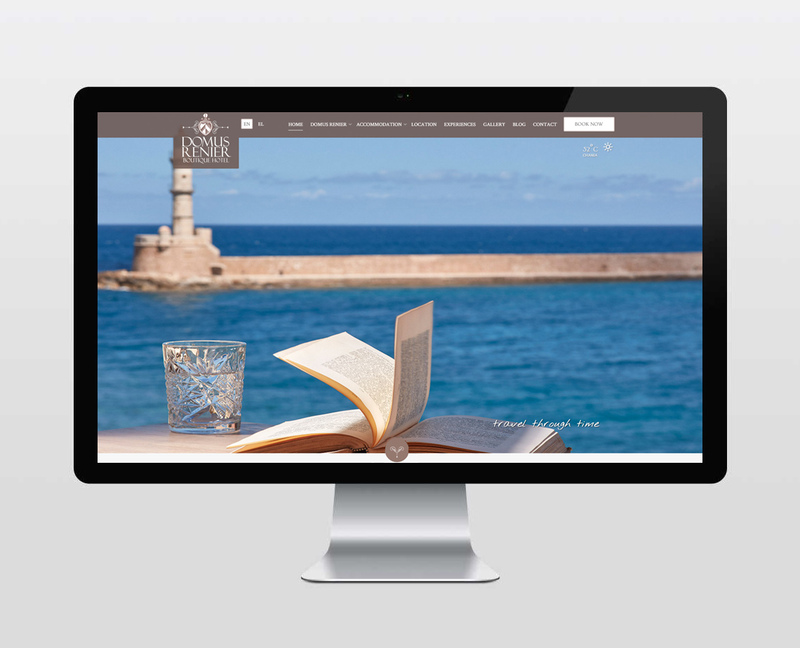 The owners of this building which is a restored part of the bigger Renier palazzo complex that is extended in the old Town of Chania, came to us with an objective to create a web presence that would reflect Domus Renier background, including an appealing and functional website designed to attract visitors from the international market. We entered the construction site. We wanted to know the business we were about to serve. Restored with architectural respect, the building narrated it’s own history making it’s competitive advantage evident to us. Due to multiple distinguishing historical and architectural characteristics the hotel combined, further segmentation than that of a typical boutique hotel was possible. Domus Renier aimed to a market segment of well educated travellers, able to appreciate the historical references and the luxurious atmospheric revival of an important era. We worked firstly on a responsive web design and development, creating a beautiful website, making sure it was displayed right in all devices. We bared in mind that it should be user friendly, inviting and present all practical information with an emphasis on the visual element, as the product of tourism is created the moment it is offered, thus the promotional mix must aim to sufficiently present the promised services, eliminating doubt. In alliance with our observations, we proceeded to the management of the valuable asset that would set Domus Renier apart from it’s competitors. 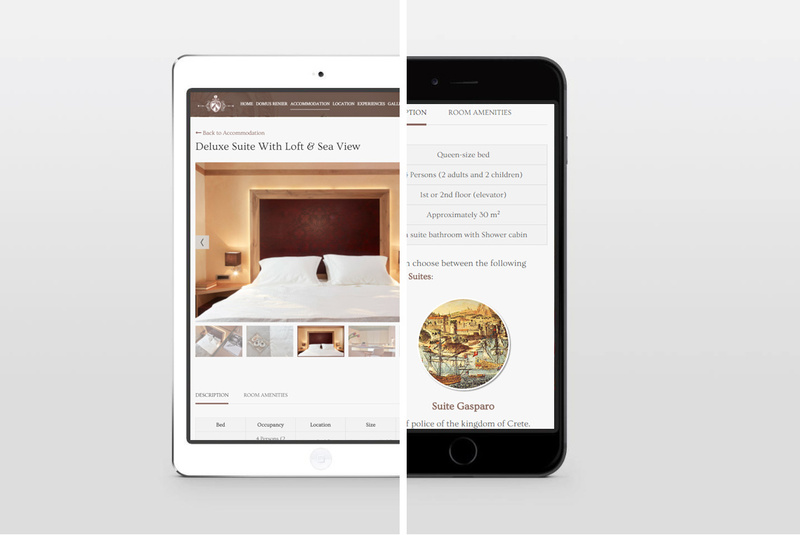 After an extensive historical and market research, we discussed Branding guidelines with the owners, during which we highlighted the need to produce differentiated website content to accentuate the hotel’s uniqueness. A narrative was built around the historic era the hotel belonged to and was incorporated to the Brand Identity. 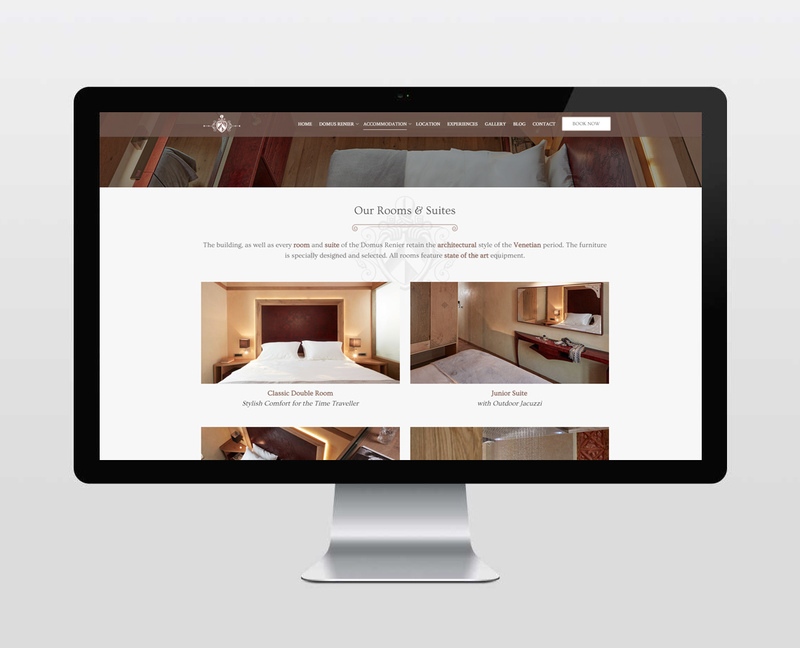 We brought to light the lives of the Reniers, creating themed suites, added multimedia and produced website and blog content that complimented the Brand essence and associations. Focus was given on renaissance historic facts and artwork, while on site SEO and keyword optimisation techniques were applied, creating a balance between marketability and individuality. We finished only when the webmosphere created, matched the atmosphere of the hotel.